Got tired of ordinary shooting combat game? 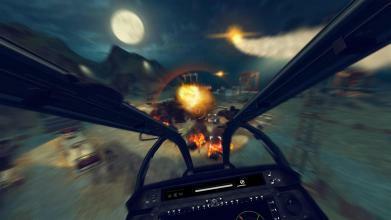 Airplane Shooting War:Survival will bring a totally different game experience! We’ve received the basic information of several enemy bases. But the enemy is too powerful for us to defeat. You’re just the one we need at this moment! The new quest has been released. This is a single operation. You have to drive an armed helicopter to destroy the enemy bases. Can you fulfill the challenging task? 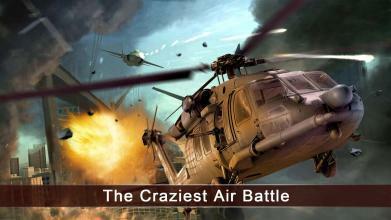 Features: * Diversified helicopters & weapons As many as 8 exquisite helicopter models for players to select. You can also upgrade the weapons on the copter to become more powerful. 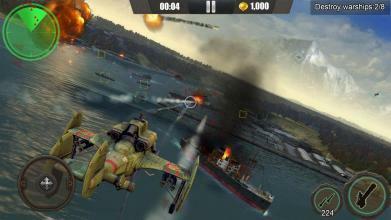 * More game modes to challenge 3 different combat modes, the sea, the land and the air, for you to challenge. Not to mention the more difficult boss levels. * Multiple rewards & props Show your excellent combat skills in the battle by using multiple items. Don’t forget to log in the game everyday to receive the daily log-in rewards! * Simple operation Double operation ways, virtual stick & gravity sensor, make the helicopter driving more realistic. Just tap the weapon button to start attack! 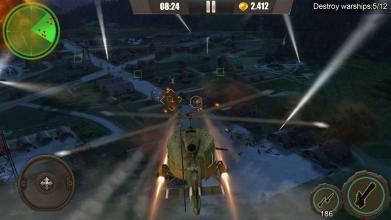 It’s time to drive your copter and beat the enemy now!